I‘ve started doing long monthly rides with a group of fellow Stamen alums. On honor of Eric, we call ourselves The Rodenbikes. 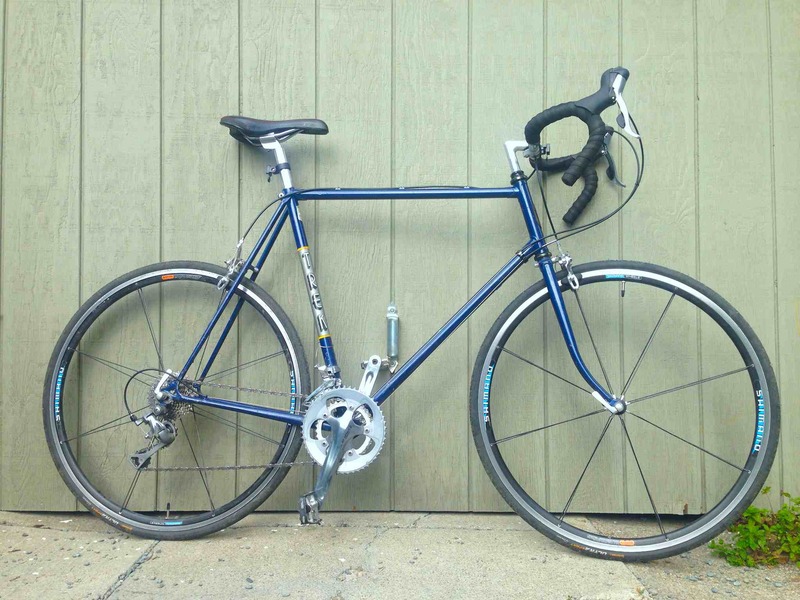 At first, I was using the Schwinn touring bike with an internal hub, but after the July ride toting beers and burritos I decided it was time to switch to a bike better-suited to longer rides. One of us is training for the 2016 AIDS Lifecycle, and my heavy, crunchy retro-grouch bike was leaving me far behind. This is my first regular road bike, with gears and slicks. 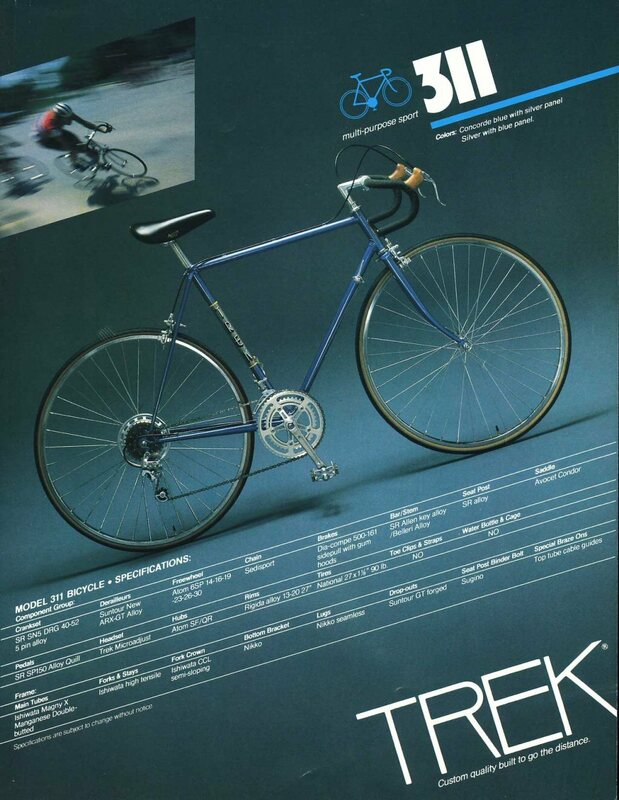 The frame is a 1982 Trek 311 “multi-purpose sport.” It’s at the low-end of the 1982 product line, using slightly-cheaper tubing and (I imagine) lower-grade components. 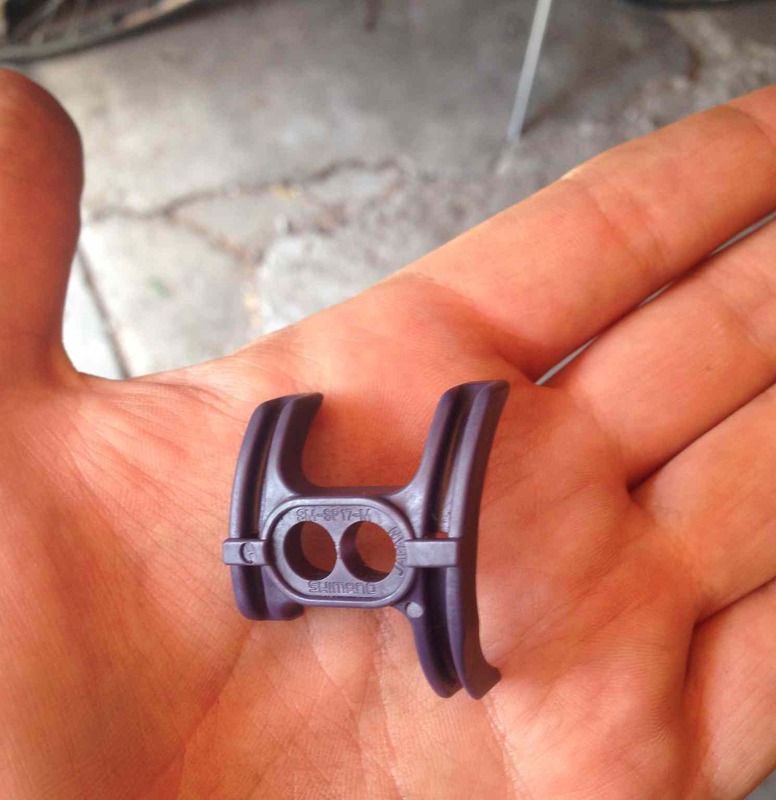 One of the first challenges I encountered on this project was parts selection. 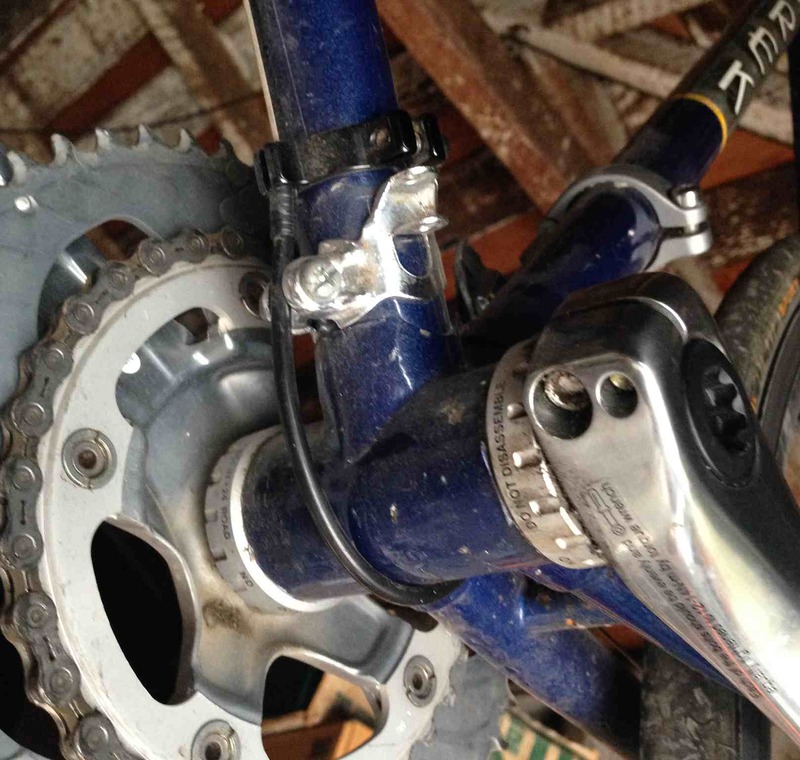 Initially, I attempted to piece together a groupset from separate purchases, pricing cranks and derailleurs individually and trying to arrive at a complete bicycle. 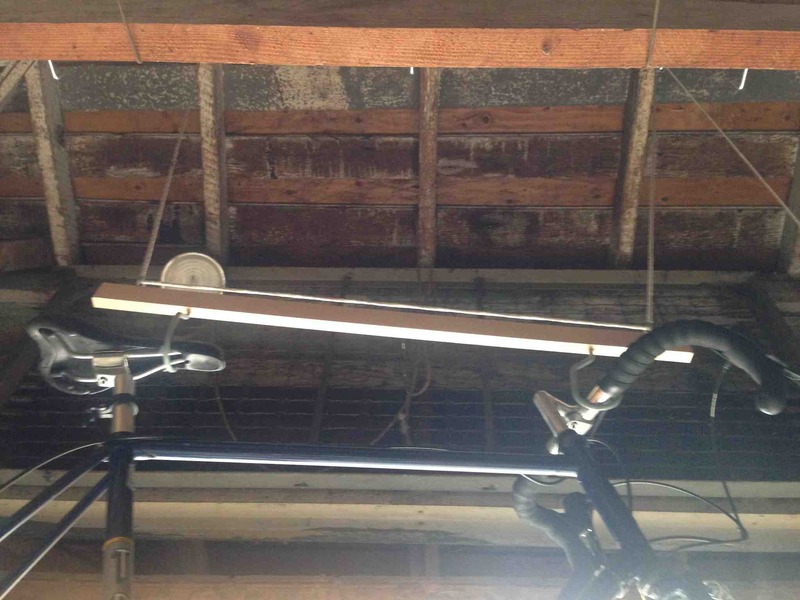 After a few weeks of research and talking with bike stores, I learned that it would make more sense to buy a complete groupset from a single manufacturer that was known to work as a unit. 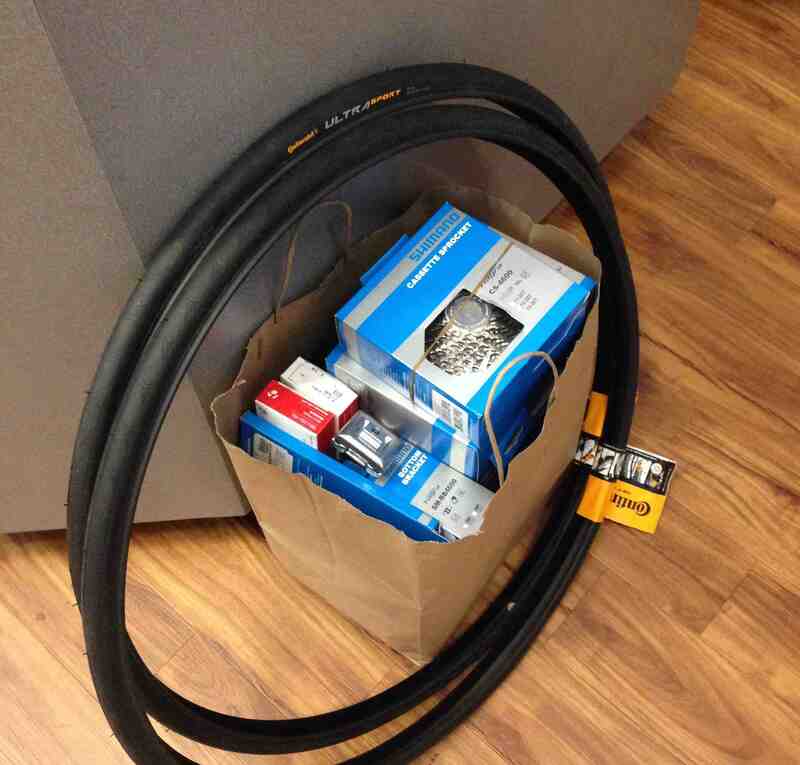 I decided on the Shimano Tiagra groupset, the fourth-tier kit for road cycles. Researching bike components is surprisingly difficult. Shimano’s website is sloppy and unreliable, and seems to be written for an audience of mostly distributors and retailers. Missing Link Bicycle Co-Op had the most helpful sales people, and assisted me in thinking through my options and their effects on performance and weight. I decided to buy all the parts with them, except for the wheels. I bought the wheels used instead, to take advantage of lower prices and easy compatibility with major manufacturer parts from Shimano. The Trek 311 frame was built for downtube shifters, and lacked stops or a threaded hole for the guide. I had to improvise somewhat, and found Origin8 cable stops as well as a used metal cable guide in my parts bin from previous projects. The ride has been great. We’ve done three big rides with it: 45 miles from SF to Halfmoon Bay and back, 80 miles around the Bay via Dumbarton Bridge, and 70 miles round the San Pablo Reservoir and along Richmond Bay Trail.